Over the years that I’ve been helping doctors and other high-income professionals stop doing dumb stuff with their money, I’ve learned that most of them aren’t hobbyists. They don’t find personal finance and investing all that interesting. In fact, if given the choice, they’d rather not do it at all. Ideally, they would hire a “money guy (or gal)” who would take care of all this for them for a reasonable price. Unfortunately, one of two things usually happens. The first is that they hire a “money guy,” but that person either gives crummy advice or charges too much for good advice. The second is that they become so busy or so paralyzed about which “money gal” to hire that they don’t do anything at all. Either way, they leave a lot of money on the table and go through life with a sense of unease that they are doing something wrong with their finances. Does that describe you? If so, it’s time to get rid of that unease. I know you’re busy. I know you don’t actually enjoy this stuff. But you also know that you need to learn this stuff. I’m going to help you do it in the least painful way possible. This course is for you. No more wading through dozens of books at the library, scrolling through hundreds of blog posts on dozens of blogs, or checking in daily with online forums trying to gain a financial education the way the hobbyists do. For 1/10th the price and half the time of hiring a professional financial planner, this course will take you from feeling anxious and having no plan to having a written financial plan you can follow the rest of your investing career as a professional and a retiree. This course is the material that should have been taught to you in college, medical school, or residency, but never was. The course includes 12 modules, covering all of the must-know subjects that belong in your financial plan. Lectures are presented as videos and screencasts, over 7 hours total. There is also a pre-test, a quiz for each section, and a final exam to help you know that you’re mastering the material. Each quiz and the final exam include full explanations of why one answer is right and another is wrong. Most importantly, the course includes examples of what your financial plan should look like that you can modify and use as your own. Best of all, you can do the course as quickly or as slowly as you like. Each presentation is just a few minutes long and most of the twelve sections only last about a half hour. You can complete the course in any order, skip what you already know, and go back and review any material you struggle with later. Once you buy the course, it’s yours forever. Includes a course description, a 25 question pre-test, some information about your instructor and other resources available through The White Coat Investor, a discussion of the importance of having a financial plan, an example of a complete financial plan so you will know what you are working toward during the rest of the course, and a worksheet to start your own financial plan with. Learn about what advisors can do for you, how much they cost, how they get paid, how to choose a good one, and how to use one. Also included is a discussion of whether you need a financial planner and/or an investment manager at all. Then you’re taught how to move your money away from an advisor to a low-cost firm where you can manage it yourself. Discover what the pros and hobbyists know about insurance. Learn how to buy the types of insurance you need such as disability, term life, liability, property, and health insurance. Learn why you shouldn’t mix investments and insurance. A screencast walks you through how to get your own life insurance quotes in seconds. Finally, I help you write the insurance portion of your written financial plan. Learn when you should buy a house and when you should rent. Learn how much to spend and how to interact with realtors and lenders to get the best deal. Discover the benefits and downsides of a physician mortgage loan. Get a plan in place to pay off that mortgage early. Have a written plan for your housing, including any second or vacation homes. Discover the secrets of the government income-driven repayment and forgiveness plans. Learn how and when to refinance loans during and after residency. Learn what you should do instead of forbearance or deferment. 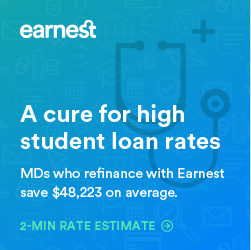 Learn how to be free of your student loans in less time than it took you to complete medical school. Put a plan in place to manage destroy your student loans once and for all! Learn the secret to financial success as a physician. Hit the ground running for the most important year of your financial life! Learn how to plan your spending, manage sinking funds, develop an appropriate emergency fund, minimize your fixed expenses, and create a plan that ensures you’re spending your money on what you value most. The next three modules cover investing. Learn to set goals that won’t end up like your New Year’s resolutions. Discover the three enemies of the investor. Determine how much you need to retire. Learn how Social Security will play in to your retirement and what savings rate you will need to reach your goals. Master financial calculations like Future Value, Payment, and Period. Master the use of taxable accounts, 401(k)s, 403(b)s, 457(b)s, Defined Benefit Plans, SEP-IRAs, Individual 401(k)s, traditional IRAs, SIMPLE IRAs, and Roth IRAs. Learn how to do a Backdoor Roth IRA and to use the triple tax-free Stealth IRA. Dramatically decrease your tax bill while protecting your assets from lawsuits. Learn the rules behind using more than one 401(k) and how to use college savings accounts to your advantage. No longer will America’s crazy retirement scheme be like alphabet soup to you. In the longest section of the course, learn about stocks, bonds, real estate, currencies, cryptocurrencies, collectibles, options, actively managed mutual funds, index funds, and dozens of asset classes. Become familiar with academic arguments for and against factor investing. Learn the merits of a simple investing approach and the pros and cons of adding complexity to the portfolio. Master asset location techniques and learn to invest as tax-efficiently as possible. Learn how to choose an asset allocation and how to implement it across multiple investing accounts. Discover how to rebalance and how investing during retirement years is different than the rest of your career. Discover the purposes of estate planning and why you need a will and a trust. Learn how to avoid probate and designate beneficiaries. Minimize any tax due at the time of death. See how trusts can reduce the size of your estate and ensure your desires are carried out. Learn how and when to meet with an estate planning attorney. Learn to evaluate your risks and put up a strong defense against professional and personal lawsuits. Learn the asset protection laws in your state. Discover the pros and cons of incorporating your practice. Separate your toxic assets from non-toxic assets. Learn about advanced asset protection techniques like overseas trusts, family limited partnerships and LLCs. Understand how to put together a simple, inexpensive, effective plan to keep what you have earned. Learn market history, what to expect during your investing career, and how to stick with your plan through good times and bad. Discover the importance of initial and continuing financial education. Learn how and when to modify your financial plan and finalize it for use. Crush the final 50-question exam, marveling at how much you have learned since taking the pre-test back in Section 1. Twelve modules containing 8+ hours of high-quality, high-yield, unbiased financial education. Think about how many books you would need to read to get all this information and adapt it to your unique situation. Think about how many hours you would have to spend perusing blogs and internet forums. Calculate how much your own time is worth. Consider how much a financial advisor would charge to do this for you – $2,000-5,000 plus ongoing fees for years. Think about how much it would cost just for an hourly rate advisor to teach you these eight hours of material at $200-500 an hour. Then consider the value that this course could provide for you for just a few hundred dollars. Rather than trying to pack as much information as possible into the course, I have only included high-yield, must-know topics so you’re not wasting your time. My goal is to take you from having no financial plan, to having a straightforward, written plan you believe in and can follow the rest of your life in as little time as possible. Go from being financially illiterate without a clue to being the most financially knowledgeable doc in your group with an expertly written financial plan in hand. Buy Fire Your Financial Advisor Today For Just $499! $499 is a lot of money. I fully recognize that. But considering that the going rate for a financial plan is typically several thousand dollars and that this information is likely to save/make you hundreds of thousands or even millions of dollars over the course of your career, this course is a bargain at twice the price. As people, we value and we commit to what we are willing to pay for. I want to help you to commit to your own financial future, and this entire course, including its price, is designed to help you do that. No more feeling clueless about personal finance and investing. No more wasting time and money on stuff that isn’t making you happier. Let’s get rid of your debt and start building wealth to eliminate financial stress from your life. It’s time for you to become the “rich doctor” that your family, friends, and patients already think you are. Then you can focus on what you really care about- your family, your patients, and making the world a better place than you found it. No other book I have EVER read kept me engaged afterward with a blog. Your blog is the only one I’ve continued to read for years. Your blog teaches me something new every week. I recommend your blog to many, especially young doctors. Dude, you are just plain smart and dedicated. I am now a diligent “White Coat Investor”. You are a physician entrepreneur hero. My family thanks you for every month of my earlier retirement. You are teaching people to earn freedom. I have such tremendous respect for your work…Thank you for…continuing to help us health care providers get a fair shake in this ever changing industry. Know you have personally been a tremendous help to me, and you have an ever-growing fan club of support here in my region because of your expertise. Thank you for creating this great community and for all I have learned. It’s…wonderful that you were able to find a way to help other physicians with the business you created. My finances are in order at the beginning of my career thanks to my WCI education so I will “get rich slowly” long before a “normal” retirement age. Thanks tons Dr. Dahle! As an orthodontist, I have been a follower for over 4 years now and I have spread the word of the WCI empire along to all my other dentite and non-dentite friends and colleagues. I talk about Backdoor Roths, HSAs, and all the other abbreviations to everyone I know thanks to you and your site. I think [you have] really changed my approach to life and money. Before I used to just think about saving and not overspending. However, after reading a lot I’ve definitely adjusted my strategy to think long term about things like early retirement which I’d never thought about before. So, I have you to thank for re-igniting that spark, which has led to getting our financial plan in order. And, I’ve even taken your advice on how to channel some of that financial energy after I’d done most of the big things: teach others. Last month, I began teaching a personal finance curriculum for my department’s residents! Hopefully, we can all take what you started to reach more and more physicians! The sooner you purchase and complete the course, the sooner you can apply this valuable information in your life and get a “fair shake” on Wall Street. Spend eight hours with me for just $499 and optimize your financial life. Purchase the course today and let’s get started. It’s time to get financial stress out of your life. What do you think? Who do you know whose life would be changed by taking this course? What other courses would you like to see from The White Coat Investor? Have you taken the course? Leave your testimonial here as a blog comment for those considering following in your footsteps. Comment below! Audible Lover? The White Coat Investor Book Is Now Available! Congratulations (and a Special Deal) for Match Week! How Do You Evaluate A Real Estate Syndication? What Do "Advisers" Think About Doctors? Beautiful! I think you hit the nail on the head here. I love the title. The price is very reasonable. I will be curious to see what segment this resonates with. My friends seem to have so little interest in personal finance that they wouldn’t invest the time or money into a course like this – no matter the actual value they would receive. Readers of this blog may feel they already have their financial “ducks in a row.” Given how many signed up within a week to your live course though, I’m likely underestimating demand. Sound like a great course. I hope you have a lot of buyers and that they improve their financial lives. We’ll see if the interested segment is as large as I think it is, but even if it is a very narrow niche such as 5% of those who come to the site, it will have been worth it. I assure you there are plenty of readers of this blog who don’t have their ducks in a row; most of them don’t leave comments. You should give people CME so that they can use their CME money. Don’t think I didn’t think about that. That was the most difficult part of the live conference. It turns out that what people are most interested in learning is not the stuff that easily qualifies for CME. Try convincing someone that a lecture about asset allocation will improve patient care. The connection is there, but it isn’t very direct. In reading the table of contents I am not sure that retirement considerations are really discussed like SWR and Roth Conversions. SWR is definitely discussed in depth. Roth conversions are also mentioned, although more briefly except as applied to Backdoor Roth IRAs which are covered in depth. Fire your estate planning attorney! Certainly, all of these topics can also be learned in an online course and done just as well in one’s spare time! Sixteen years of financial planning work-advising physicians and others almost daily on all the various aspects of their financial lives, while keeping up a stream of continuous learning. I wish your twelve module course had been around to do instead! 1. The medical school, residency, and practice experience you list are common to those to whom WCI is marketing this course and don’t necessarily bestow any financial literacy. The MBA and CFP certainly do. I trust you recognize that while you and your impressive credentials (and I mean that genuinely) fit under the umbrella of “financial advisor,” so does the failed toilet paper salesman who just picked up his first batch of Edward Jones business cards this week after passing the Series 66 on his 4th attempt. The financial world is full of incompetents and moral cripples (I don’t imply either of you), and many clients would be better off avoiding them… or at least knowing enough to pick a good one. Would you not fire your plumber if he were charging you a $30,000 annual “feet of PVC under management” fee or made $25,000 by selling you a copper pipe insurance policy you didn’t need? This is the reality for many of my friends using financial advisors. You may be one of the good guys, but there are plenty in your world you aren’t. I think providing physicians with the tools to avoid them is a great service by WCI. I won’t be buying the course, but I can think of a lot of friends who would be well-served by doing so. 2. Would you not agree that there are plenty of physicians who are capable of doing the great majority, or even all, of their financial planning competently (perhaps using a CFP, tax planner, estate lawyer, etc sparingly)? Far more, at least, than the number who are capable of doing their own surgery or dentistry Plenty of people (including myself) “fire” their electrician, plumber, auto mechanic, etc. all the time with the help of 3 minute videos put on youtube by random teenagers we’ve never met. I think 8 hours from WCI could probably build a good base of financial literacy, especially if reviewed multiple times. Certainly we can all do financial management for ourselves with a high degree of competency-IF we take the time to both initially and continuously learn. And there is plenty to learn: educational planning, estate planning, insurance issues, investments, asset protection, business development and more. What I object to is the title and implications of the course-that you can pay a few hundred dollars, spend a few hours on an online course and “replace” the earned wisdom of a good financial advisor. A more palatable approach would have been to offer the course as a basic introduction to financial literacy and a starting point for physicians to move out as far as they feel comfortable. There are many financial “planners” that are absolute crooks -in fact, I’d suggest that most people holding themselves out to be “advisors” are just salespeople out to enrich themselves. But there are plenty of good guys-you can find them at Napfa.com. I’m betting that WCI sees it that way. But he is a great marketer. To get people’s attention you have to be a bit sensationalistic. The course won’t help anyone if they don’t click on it or buy it. I refer lots of doctors to advisors every day. This course can help those people to select and use an advisor. However, the course is primarily designed for those with an interest in becoming do it yourself investors with as little time and effort as possible. Will there still be a need to do some continuing financial education? Of course, and they’re taught how to do that in the course. The title is deliberately designed to be attention grabbing and appeal to those with an interest in learning to be do it yourself investors. Try not to take it personally. I still suspect that majority of physicians, including those who find this site, will still want to use a financial advisor in some fashion. A very important part of the course teaches them how to select and use a financial advisor. Even for those who plan to use a financial advisor, this course will be very helpful to them. Not only to help them get a good one, but also to teach them the language used and the issues involved so they can get better advice. 1) Investing alone can be both easy and inexpensive IF you have discipline. 2) You should try to at least understand some basics of your financial life, if only to avoid taking bad advice or making big mistakes. These areas are: asset protection, basic investment theory, retirement planning, estate planning, insurance issues and more. It looks like this course will be a great way to start. 3) Your financial planner/advisor should be doing much more than just investing your assets (see number 1). Choosing a CFP certificant who offers fee only financial planning (whether on an hourly basis, retainer fee, or on an assets under management fee) will be the key to that. This exactly is why I’m considering ordering (or, I should say, wanting to order/working on fitting into my “life like a resident/young associate” plan). My soon-to-be husband really wants to continue to use a financial advisor. I have great skepticism. The more I know, the better I’ll be able to determine (a) if we’re receiving a decent value for services rendered, and (b) if we’re flat out getting hosed. It’s like the first time I had a contractor do work on my house I got a little hosed by “industry standards” that were hidden fees (while my house had a single working faucet, work had to be completed!). Older and wiser. Now I research what a job should entail for my house before hiring someone. “Certainly, all of these topics can also be learned in an online course and done just as well in one’s spare time!” Sort of like an online professional MBA? Truly, with interest and time, you can learn to do a whole bunch of things for yourself with online resources. From your ADV form and brochure, it looks like you run a reputable firm and serve your clients earnestly and fairly. Are you honestly going to assert that many people who have accumulated at least $500k in investable assets (your firm’s threshold) aren’t intelligent enough, if interested, to spend a little bit of time and manage their own finances? Sure, to hang a shingle and build a financially successful firm like yours you need credentials and should have a very broad understanding of the infinitely variable scenarios relevant to those whose money you’ll manage for a sizeable fee. However, an individual only needs to understand 1 scenario — their own. With a little bit of personal effort and some good resources (like this course from WCI), it’s readily within the grasp of most to become an expert at managing their own wealth without obtaining a credential or paying thousands in fees to someone who has. If you truly provide a value added service, you’ll actually benefit from this as more knowledgeable clientele should seek out the ‘good guys’ like you that you mention, while putting the ‘absolute crooks’ you describe out of business. ZC, thanks for the comments. I certainly welcome clients who have a good basis of knowledge on financial matters. They already “get it.” But, not everyone has the time and aptitude to grasp the essentials of even their own personal situation. Will be interested to see how this does on your next state of the blog update in a year! I know that the people I feel need this most I’d have to pay for it for them to get them to buy it. I do think there are some people out there that need some help and this is much more likely to be a better alternative than paying someone 1% for bad advice. Please send out more reviews as people use the product! I am sure many people will benefit from the course, $400 is nothing compared to learning some basic concepts that can save hundreds of thousands in fees for bad financial advises. I’ve never had a financial advisor therefore I won’t need this, always did everything myself, the key is invest early in low fee index funds. Does this mean you will no longer have the Asterisk at the end of your posts or emails stating they you are not a financial advisor? Of course not. 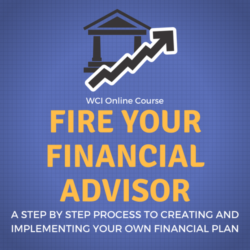 The course is titled “Fire Your Financial Advisor” not “Hire Me As Your Financial Advisor.” Students in the course will be very much aware of what I am licensed to do and not licensed to do, just like blog readers, book readers, podcast listeners, and those I speak to live. Also, I like the drop down entitled “WCI Plus!” Great idea. I bet you think that was a great idea, it was yours! I could not agree more. No advisor is likely to beat a simple, inexpensive disciplined portfolio. Pick any robo advisor portfolio or one from several books and stick with it for many years, you will do as well (or better) than anyone else. BUT, you need the discipline to avoid buying because things are going up and vice versa. In 2008-9, my major job was to hold hands and prevent selling due to fear. That paid off as a giant multiple of fees paid. In addition, a financial planner should be “planning”, not just providing an investment platform. If you have an advisor that is not talking to you about educational planning, estate planning, insurance issues, investments, asset protection, business development and more, you don’t have an advisor. And I agree that not only does an educated client get better advice (and enjoy more success and financial peace), but they are more fun and more rewarding to advise. Any suggestions on when to purchase and start the course as a 4th year med student? I know I need this but at the same time my wife and I are couples matching and just completed our interview tour of the country and $400 is a chunk right now! Thoughts? Can you simply use your emergency fund? If I were a fourth year and someone was willing to teach me this stuff instead of making me learn it on my own over the next few years from books, I would gladly pay the $400 (and The White Coat Investor probably wouldn’t exist.) I certainly made at least $400 worth of financial mistakes as an intern. Heck, I think I paid more than that just in mutual fund loads! I know I paid more than that in extra premiums toward the wrong insurance policies. I lost way more than that buying a condo during medical school. So I think it is very much worthwhile even for an MS4. But it’s risk-free for 7 days. If you don’t think it’s worth it, return it and get your money back. I bet you’ll consider it one of the most valuable courses you took in medical school and be back here in a few weeks recommending it to other students. As far as timing, any time is fine, but post-match in MS4 is probably the best time in my view. Then you can hit the ground running as an intern and you have a little more free time than you did as an MS3, early in the MS4 year, during interviews, and of course as an intern. Most of what we do here at The White Coat Investor is 100% free to docs and other high-income professionals. Ads keep that stuff free, so be sure to thank the advertisers with your business if you like getting it free. We have three paid products where you can avoid seeing ads- the book, the conference, and now the online course. The book is a best-seller, the conference sold out and had a 180 person waiting list within a week, and the course is selling well this morning. I don’t expect every one to buy it, but I really think it is going to be perfect for a lot of people. I’m trying to reach as many as I can, no matter how they learn. I’m continually amazed that many blog readers don’t listen to the podcast, many podcast listeners don’t read the blog, and some forum participants don’t do either! Some people just read the book or just take the newsletter. Different strokes for different folks. If you don’t think the course is for you, then don’t buy. There are other ways to learn this stuff. But it’s free to try it and I know I’m going to help a lot of folks with it that I’m not helping now. I am very interested in this course as well; however, I have been getting swamped as an OMS3. Would love to do this course at some point. Any recommendations? Also, thank you for being a light out there for us! OMS4 is a good year to do stuff like this. You could even buy it now and take it then to get the discount, or just wait to buy until you’re ready to take it. Congrats WCI, I will recommend this course to my friends. I hope you continue to dish out quality free advice through the blog for us DIY hobbyist that are willing to do the work to look for it. Thanks! I still love blogging and don’t have any plans to quit any time soon. I didn’t quit when I started the podcast did I? Excellent! I wish I had it few years ago, not that reading the blog was not fun!. Is there something that has not been addressed in the blog or in the WCI book? I am curious about the estate planning and asset protection modules. There are a few little pearls in there that won’t be found elsewhere, but if you’ve read my book, read all the newsletters, read every blog post, and spent hours on the forum, you may not find enough new information there to be worth your time and money. The main benefit of the course is the organization and presentation of the material (and especially the assistance drafting up your own financial plan.) If you feel qualified to do a written financial plan on your own, you probably don’t need the course. Awesome, good for you for doing this. I will be sending some people your way if they ask for advice. I already recommend the book but this is the next level up from that. Yikes! I wouldn’t pay that much for information available free online or in a $10 book, but that probably means I’m not the target audience. Haha. I think it will be interesting to hear how popular it is. I agree. Last night I had a little nervous excitement, not knowing whether we’d sell 3, 30, 300, or 3000. I’m pleased to announce that it doesn’t look like it will be 3 or even 30 and it isn’t even noon yet. We’ll at least cover the costs of the camera, sound equipment, lights, and software. Time will tell if we cover the cost of our time, but it has been a promising start this morning. Anyone who leaves a comment on most of the posts I write is by definition not the target audience! Best wishes! First, how long will one have access to the video course and materials for if you purchase it? Months, years, forever? What does the “autocomplete” on/off setting option on the course page do? Can you go back through modules again at a later time to review a topic, or re-view large sections of the course if needed? Any other important things to know about how the online course is run / managed? You get the course forever. Yes, they “check off” as you go along, but you can go back and rewatch them any time. The “auto-complete” just marks it as complete when you finish watching the whole thing. Yes, you can go back at any time. Once you buy it, it’s yours to do what you want with it. It basically all runs automatically in the background. If you find some sort of glitch or something, let me know and we’ll get it fixed ASAP! I can go back in and change anything, add to it, subtract from it etc. I learned a lot of medicine from textbooks, but I still valued the lectures. I can get CME free from articles online (and I do), but I also enjoy going to conferences and listening to someone who has “packaged” it all in a form for my level and station in life. The WCI course and the conference are just other options for packaging the material. The value add is the improved organization and the progressive “how to” aspect. It’s a bit of hand-holding, true, but that is what is worth paying for if you otherwise sit idle and do nothing. This is for the person who is caught (paralyzed) between inadequate knowledge and the fear of getting scammed by an advisor with conflicts of interest. I bet few if any regular posters on the blog will buy the course, but I bet that hundreds of the *14,000* mailing list members will. Medical students have made many comments on other financial sites that they wish there was a course. Last half of 4th year medical school (before the tsunami hits) or 1st year of attendinghood (when the dollars start flowing at a much higher rate) are perfect times to do a “financial fellowship” like this course. As a first year attending (8 years ago), I paid a fee-only advisor $2500 to meet with me 5-6 times to coach me and help set up a plan, which contained essentially the same topics. If this course would have existed, I would have done this instead. I predict great success with Millennial docs. They tend to choose freedom/lifestyle over conspicuous consumption, and knowing how to win with money is the key to that freedom. I’m an MS4 who has been following this blog since I found it in 2012 as a pre-med. I’ve also listened to all the podcasts and read the book. $400 is far and away worth contributing to WCI for all the pearls gained from this site and I will be recommending it to all my classmates and future co-residents as well. I am buying it simply for the organization and financial planning, but I just wanted to give a shout out to WCI because he whole-heartedly deserves it. Thanks! Will definitely recommend it to a few people. The price is great, I spent $1000, getting a financial plan from an “advisor” that basically told me to save, use a 529 and buy while life. I researched the 529 and did that before the next meeting and my advisor was upset I did it without him. Saving was never an issue, but when I looked into whole life, well that’s when I ended up here. Hundreds of hours later I feel very confident about the financial stuff, but if I could have had the highlights for $400, that would have been nice. I would also recommend an A LA Carte option. Maybe each section has a price associated with it and people can pick and choose what they want to purchase and timing of such purchase. Would help with med students who don’t necessarily need to know about estate planning, or for those long term readers who don’t need to know the most basic of sections, can pick and choose stuff they want more info on (i.e. estate planning, asset protection). Thank you for the suggestion. We’ll consider it. I would probably buy the estate planning and asset protection if available a la carte. Maybe we should do another course aimed at late career and retiree folks. Let’s see how this one goes first. I’m actually early career, just felt those sections were the ones on the list where I probably could learn the most. Whether you decide to offer them separately or not, I’m thrilled you put the course together. I’ve already shared this with a couple colleagues who definitely fit your target audience. Was also thinking about buying selected modules. Any chance of that happening ? Not planning to, but will probably make some shorter, more focused courses in the future. This one was really the “trial balloon.” We honestly had no idea if people would buy this or not, but wanted to try this before doing shorter ones or making one specifically designed to be sold to residencies or medical schools. Another vote for at least a smaller package. As a mid to late career physician, it seems that a majority of the modules are in my rear view mirror. But I would be interested in the modules still relevant to my career stage. Congrats on the launch. Impressive amount of content in there. I think this course is a marvelous idea. While I haven’t been fired yet, if anyone considering our services would prefer to DIY and can get what they need from your course, why not? 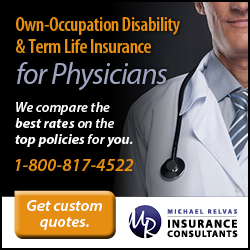 There are plenty of doctors who don’t have the time or inclination to DIY and/or who need a deeper level of attention due to specific financial complexities, who need the one-on-one attention a great planner can give. There are many others who are happy handling things on their own and I hope this course will fill the knowledge gap for them. Yes, the information may already be found on the site if you know where to look and are willing to spend days going through all of the material on the site, the time saved by focusing on a single course will be well worth the cost. Well!!! I have to say the financial advisors on this site/forum very patient people indeed. I have all kinds of advisors up in arms about the title, never mind that the first real module of the course teaches people how to find and use an advisor. I guess if it is that controversial/provocative, it’s doing it’s thing. Why would anyone be surprised by the title of this course? Beats me. I had a few of my advertisers ask about it and I told them it contains the same message I’ve been giving for years- either learn how to do it yourself well (which is totally reasonable with enough interest- that will lead to the knowledge and discipline you need to be successful) or hire someone who gives good advice at a fair price. I offered them a pro-rated refund of their advertising fees if the title really bothered them. None have taken me up on it so far. I’m not even opposed to changing the title, as long as I can find one that is just as likely to sell courses! I’m a first time poster but long time reader, and I wanted to post my congratulations and thanks for a great course!!! Please ignore the self-interested/offended advisor comments and thank you so much for all your hard work with this and over the years. I’m transitioning to attending next year and so far the course is a great blend of review & synthesis of information I’ve come across before and new information. I’m sure there will be even more new information as I continue on. I bought it the very first day it came out and am very happy.